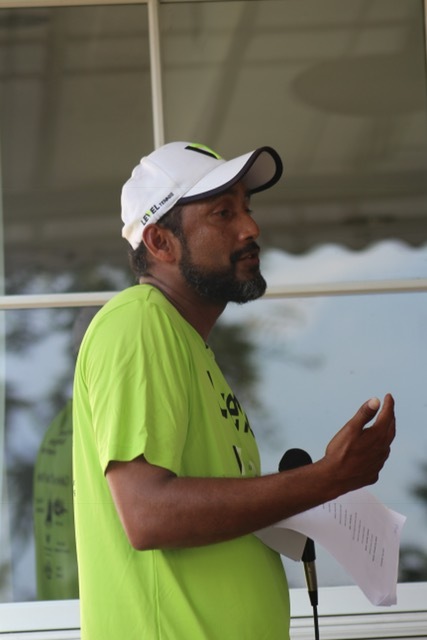 Fazal Syed at the 2017 Love ALL event. On my way to Naples Florida for the Sanchez Casal Premier Player development course, I helped a young man (about 13 years old) with his luggage and sat down next to him and his mother on the flight. We started having the usual chit-chat after exchanging pleasantries. The lady kept asking me about my background where was I from. I knew where this question came from: I had a beard and was brown. She was visibly embarrassed, probably taken aback by my calm demeanor. She hurriedly said, “No,” and acknowledged how I had helped her son and we were having such a great conversation. I told her about my tennis and how I coach kids from all backgrounds, invited her to my house, said I’d be happy for her to visit my mosque. We ended up having a nice remainder of the flight. After the flight, she crossed her heart and thanked me with the most beautiful, sincere smile. She mentioned she had never met a Muslim and she was glad to have met one. At that time, I realized this was a really kind woman who was honestly scared for her family based on what the media had painted Muslims to be. I’m a proud Muslim and I wanted her and people like her to be able to meet and interact with us, come to our mosques, be acquainted with us and be friends with us. Know us for who we are, whether we agree or not. When I arrived home, I organized a get together with a local church and soon got some magic going. 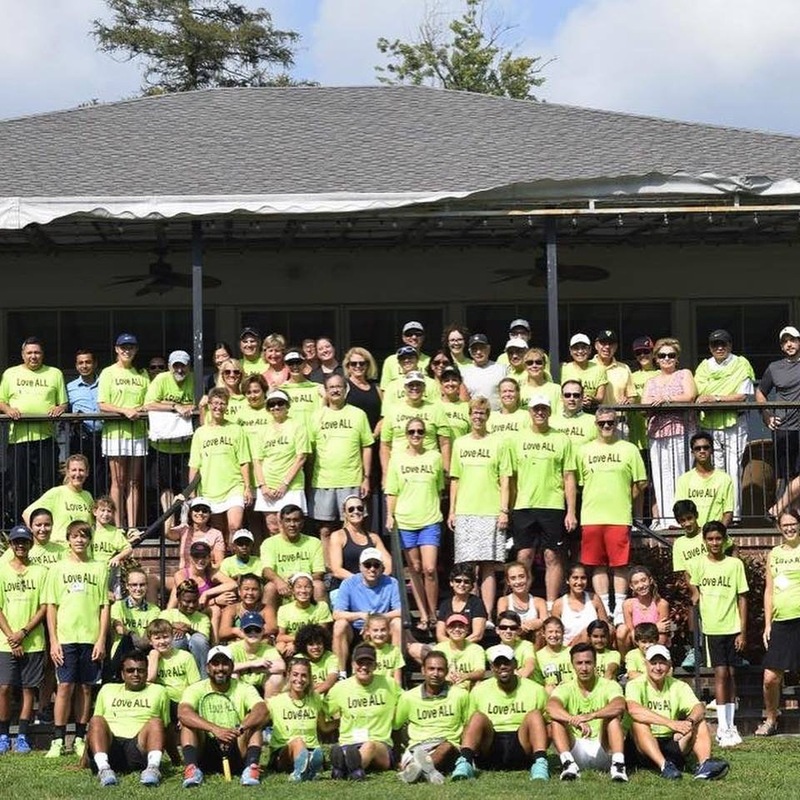 So in 2017, we organized our first event called, “Love ALL: Get on Court, Build Bridges, Connect Hearts.” We partnered with area tennis coaches to organize a day of fun clinics for youth and adults alike along with pro exhibition play. The event drew 125 people and all proceeds went to support programming at Interfaith Philadelphia! This year, I hope to bring 250 people together. I want people to get to know each other, play sports together and interact. And, perhaps, they may end up being friends. Participants at the 2017 Love ALL event. My intention is to make war on hate and ignorance so we can have a society built on knowledge and greater mutual respect, tolerance and collaboration. Only when we break down fear of the other can we embark on the path of love and friendship. I have always cherished my traveling experience because of tennis. It’s the coolest experience for me because I love people. My observation is that most people have more similarities than differences, even though each of us is unique. When people interact, even if they disagree, they can build a connection and possibly even a friendship down the road. 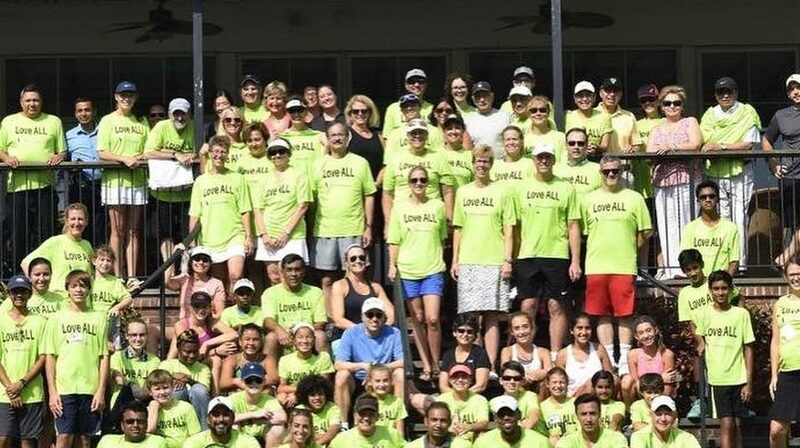 Tennis has participants from all over the landscape– but what unites us is that we are “tennis players.” Similarly, we are all different but we are “all humans.” My hope is that we find more opportunities to talk, interact and serve each other– on court and off. 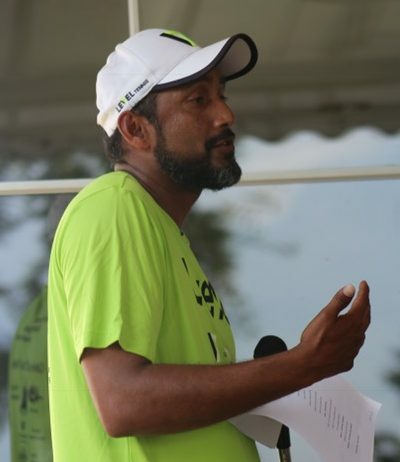 Fazal Syed is a TC Faculty Member, retired professional tennis player and the Director of LEVEL 7 Tennis Academy in Pennslyvania. He was named 2017 Middle States Professional of the Year. The 2018 LOVE ALL event will be held Sunday, September 17, from 1:00-4:00 pm at Radnor Hunt in Malvern Pennslyvania. Click here to register or lend support! I love to hear stories like this. Painting people with a broad brush is one of the biggest roadblocks to acceptance of the other.